2005 Paul Duff F-5 # 10105. Excellent condition. Custom features include X-brace, radius fingerboard, gold plated hardware and Waverly tuners. This is one great sounding instrument, it has enough age to really be lively and yet the condition is excellent. Except for finish cracking on the back of the peghead and gold plating worn on the tailpiece, it would be graded as “like new”. 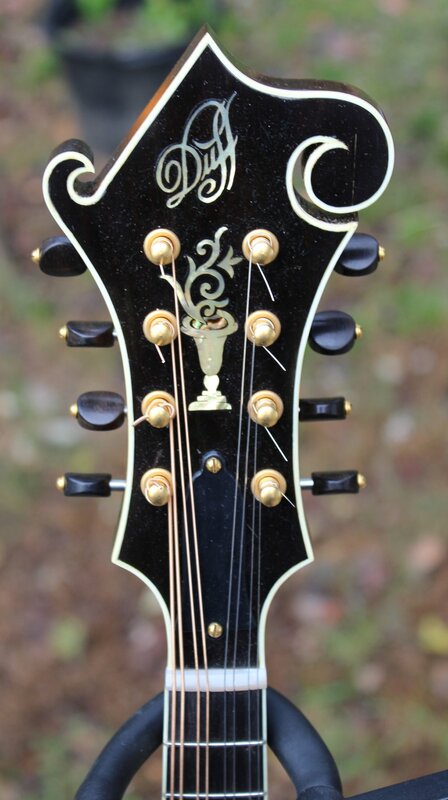 Other features include Red Spruce tap-tuned top, X bracing, Eastern hard maple, dovetail neck joint, radius ebony fingerboard with mother-of-pearl dots, ebony Loar reproduction bridge, gold plated Waverly tuners with ivoroid buttons, 1 1/16 mother of pearl nut, gold-plated, hand engraved custom tailpiece, hand stained sunburst with varnish finish. Includes rectangular Presto fiberglass case. 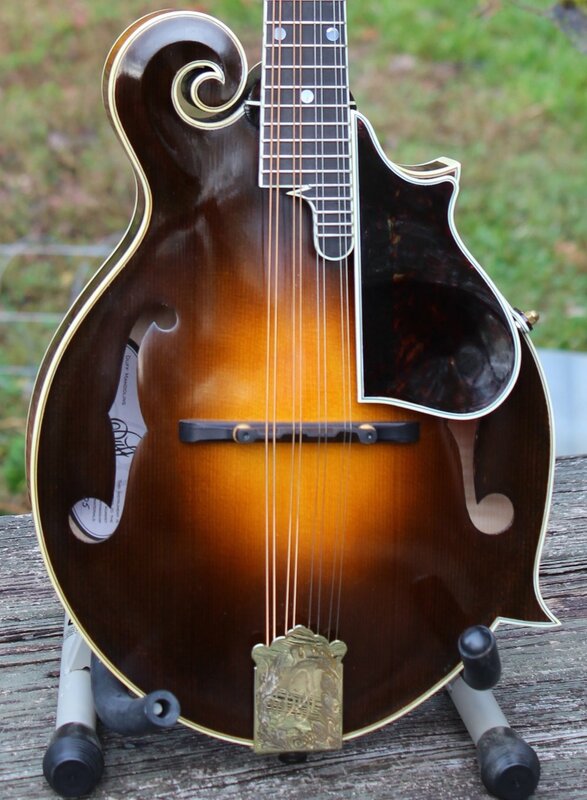 As is the case with all of Paul’s creations, this is a fine top grade mandolin that ranks in sound and quality with instruments in much higher price ranges. 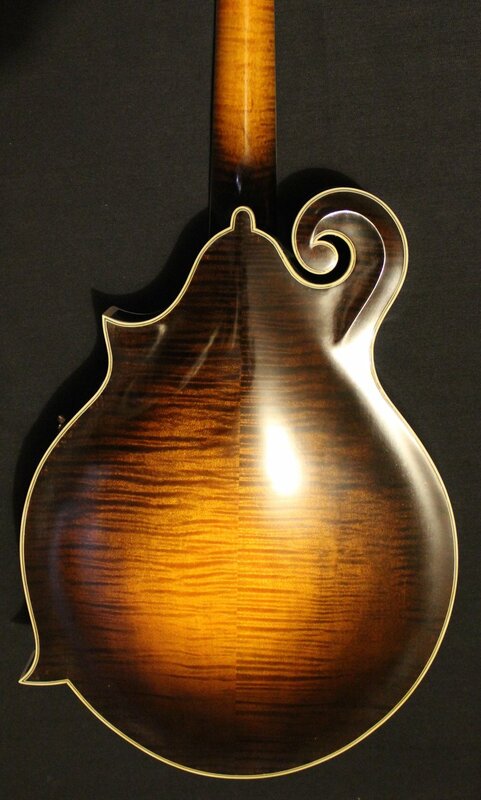 Now available at www.mandolincentral.com, total cost: $8500.